Have you ever thought about storing your files online instead of upgrading a hard drive for larger capacity? Nowadays, cloud technology allows anyone to sync their files with online storage and stop relying on a regular hard drive, which may crash or get physically damaged. Cloud storage is not only a safe way to store your valuable data, but it also ensures convenience in accessing it from different devices. Imagine that you want to access your music collection from a laptop, tablet or mobile phone, or want to show the latest photos to your friends. Taking a sick leave? No worries, you can easily access your work files from home. Isn’t that smart? Generally speaking, cloud storage lets you easily sync, access and share files from any device or location. 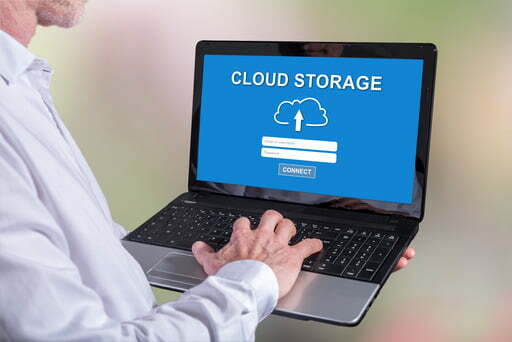 In case you need to upload and store your files for an extended period of time and get access to them whenever you need it, cloud storage is the best solution. The easiest way to manage all your data is to upload it to a virtual server. Any cloud storage provider that cares about its reputation most likely uses two-factor authentication. This way they can ensure that anyone who tries to access your files not only has the password, but also knows a special code sent to your phone. You can simply upload your files to the cloud, but keep in mind that some cloud storage providers can restrict certain types of files, while none of them allow uploading prohibited content (like offensive, sexual, racist materials, pirated media, etc.). You are free to upload data to the cloud by any means. Usually, it can be done directly through a browser, but if you need to transfer a big file, you’d better look for a host that provides a desktop client for file transfers. It’s usually a tiny tool designed to optimize the speed and safety of big data transfers. Torrent cloud storage solutions are not so common. They use torrent clients to store your files in your streaming account and download them later. Normally, once your files are successfully uploaded, you can manage your personal cloud storage as you like. You can encrypt files so that even the host can’t “read” them, you can delete or rename, share files with others, etc. Cloud storage and backup are very similar services and their technologies are pretty much the same. However, it’s easy to get confused when you try to decide what to choose for your purposes. Let’s have a closer look at how to choose wisely depending on your situation. 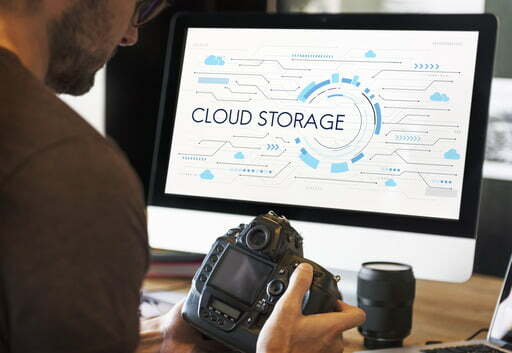 Cloud storage is the kind of backup where you select what is going to be uploaded to the cloud and manage the upload process manually. When you delete a file on your computer, it’s still in your cloud storage until you delete it from there manually. Unlike cloud storage, cloud backup works in a different way. Typically, you need to install special software on your computer and specify what files you want to have backed up. The software will be constantly syncing the files on your PC and on the server, updating them automatically. Cloud backup is used to keep the data safe from hard drive crashes. Both solutions use the same technologies yet for different purposes. Generally, the backup option is considered more convenient, as all operations are performed automatically. Yet, if you need to use cloud storage to share files, the classic storage option may be right for you. When the time comes to choosing the right cloud hosting provider, you may want to consider both paid and free services, look at their terms, limits and prices. Amazon Drive offers 5GB of free cloud storage. If you ever need more storage space, you can always upgrade to a paid account. Google Drive is another cloud storage service designed to work smoothly with Google products. It provides 15GB for free to every user, but you can upgrade to more space as well. Microsoft OneDrive is Microsoft’s service, which offers 5GB of free storage space. Apple iCloud is Apple’s cloud storage available for Apple users only. With its 5GB of free storage you can sync any types of files: images, videos, music or documents. Dropbox offers users 2GB of free storage and can be upgraded to 500GB or 1TB. FileWhopper offers a free file transfer up to 5GB. In case you need to transfer a bigger file, the price is calculated based on its size. This is not an option to store or back up your files, but it works great for a quick transfer to another person. Whether you’re going to use cloud storage for business or for personal purposes, you may also get confused when choosing the best service. The price also matters, so prior to making your final decision, it’s best to do some research on the market. Luckily, most services offer a free limited storage trial so that you can test them. You are most likely to want to access your files from different devices, such as a smartphone, so it’s worth checking if the service supports that. Some cloud storage services may have a complex interface that requires some extra skills. Use the trial period to find out if the UI is easy enough for you. If you have the time, spend some of it to try and compare several services. Choose a reliable provider that has been on the market for a while. You have to be sure that it won’t shut down without at least providing some way to export your personal data, so you won’t lose it.